Woven Concept had its humble beginning in 1948 when the late Mr. Rasheed Khan started a small business manufacturing rugs in Pakistan. His goal was to weave the best carpets in the area. After many years of growth and a continuous commitment to excellence, the business went on to become what is now a large international supplier of quality rugs. Rasheed Khan was very proud when one of his rugs adorned the floor in the Governor's Mansion. Fraz Khan, the son of the original owner, moved to Canada and opened Woven Concept Rug Gallery in Burlington, Ontario in June of 2005. His number one priority is you, the customer. Fraz knows that your confidence in his company and the exceptional carpets made to the highest standards is the key to his continued success. Woven Concept is the only dealer that many Designers trust for their very best clients. Our custom programs allow Designers to create the perfect compliment for any space. 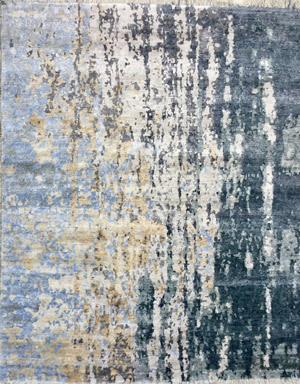 The enormous selection of quality handmade and machined rugs, combined with excellent customer service is what brings our clients back to us again and again. Thanks to you, our loyal and satisfied customers, Woven Concept now has two more locations in Oakville Ontario and in Saskatoon, Saskatchewan. We are proud to offer the best product at the best prices to fit any taste and budget. Please visit any one of our two showrooms where you will experience what a professional rug gallery is all about. Woven Concept is the only dealer that many Designers trust for their very best clients. Our custom programs allow Designers to create the perfect compliment for any space.